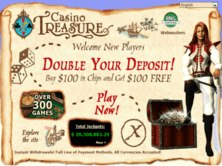 Casino Treasure used to be one of the known gaming sites in the industry. The prizes offered in this website were equivalent to treasures that players must work hard for. The software that was used to run the games under the CasinoTreasure is the Grand Virtual company, which has been established in 1997. Since the Grand Virtual has been running over a long time already, this software provider has already gained its reputable name in this gaming industry. The company became popular because of its trustworthiness and honesty for the players. 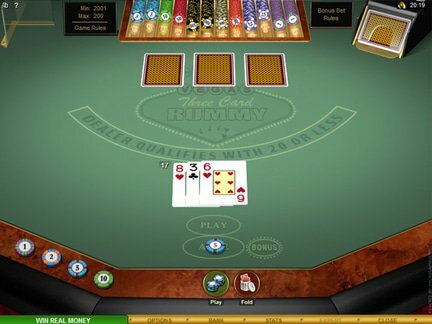 Over 250 games were available in the Casino Treasure website. The collection of games included craps, blackjack, baccarat, pai gow, video poker, and roulette. There were also a variation of slots ranging from video slot, three reels, classic, up to five reels and 27 lines. For its players who were looking forward to ace some big amounts, there were Space Ace and Faerie Tale available. These two games both offered progressive jackpots. As the long no one claimed to win the game, the Casino Treasure bonus prize continuously increased. In order to enjoy these games, players must download the software installer. Instant play was not offered for the gamers because the featured games did not support flash-based players. Once a player registered and created a new account in this gaming site, he would have the chance to get the welcome promotion. The promo required the players to deposit at least $ 100 chips to receive another set of $ 100 chips for free. This strategy was definitely a nice way to welcome the new players. Almost everyone was welcome to join the fun this online gaming site. Only residents of the United States of America had the restriction to register in the gaming hub. However, US players had the chance to take a sneak peek of CasinoTreasure's games. Through the Fun mode feature of the site, anyone can play a demo of the featured games within the website. There were no known major complaints against the gaming site. With its minimal bonuses and mediocre set of games, it would be fair to give the company a 3 out of 5 rating. This site, which was licensed under the jurisdiction of Kahnawake, has been closed due to unknown reason.